One of the oldest mountain ranges in the world and one of the newest had an historic meeting this summer. 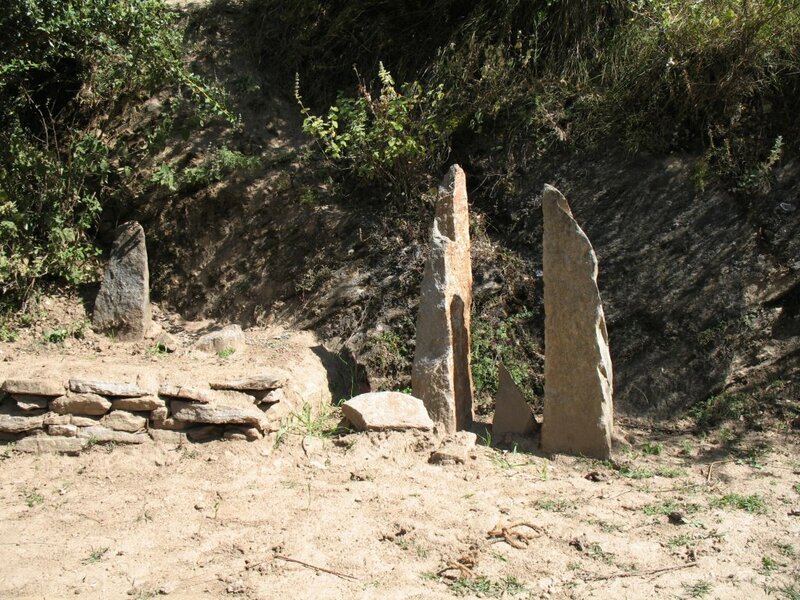 Students from Appalachian State University (ASU) in Boone, North Carolina traveled thousands of miles to Lata Village and the surrounding Chamoli District of Garhwal, Uttarakhand, India for a three week tour of the region. The class was lead by Dr. Kathleen Schroeder and Mr. Keith Bosak of ASU’s Department of Geography and Planning. While on tour the students engaged in trekking, cultural studies, development initiatives, and community service projects. The tour was coordinated in cooperation with the Alliance for Development and the people of Lata Village. Beginning in January, the 14 member class met regularly to cover issues in the region. 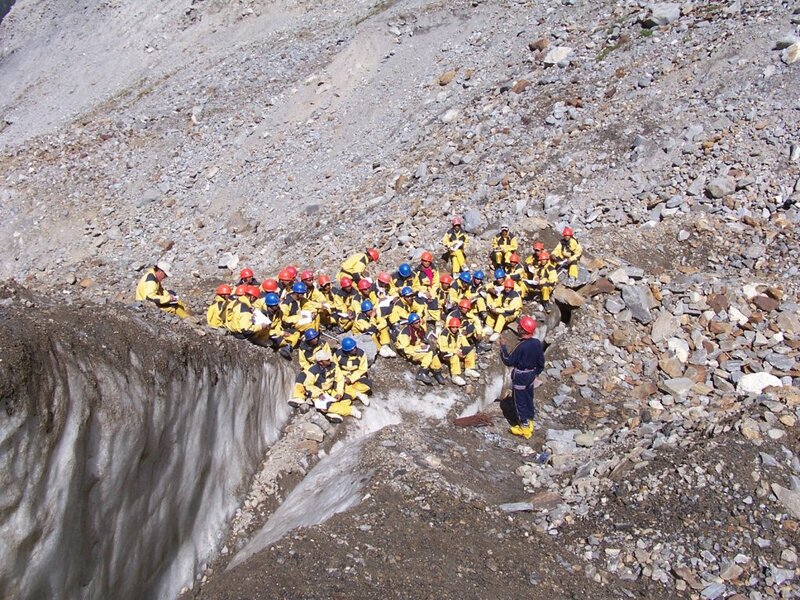 “Sustainable Mountain Development” and “Mountain Geography” were the courses offered to both undergraduate and graduate students. A thorough background study was conducted and the students were tested on their knowledge through class discussion and exams. 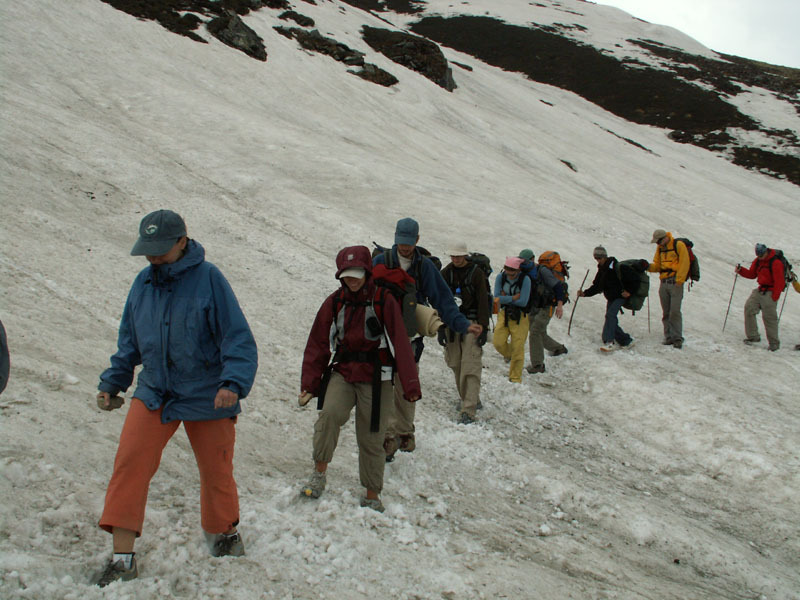 Much preparation was required to ready the group for international travel and the trekking aspect of the trip. Once in country the students were expected to keep a travel journal documenting their observations on the landscape and its people. As the tour continued the members were asked to pick a specific topic of their interest pertaining to development and sustainability in Garhwal. Once identified, the students conducted individual research projects, which included interviewing local people, and publicly presented on their topics. Agriculture, transhumance, mountain spirituality, traditional medicine, glacier trends, natural hazards, and hydroelectric power were just a few of the topics covered by the ASU group. Fortunately, the class was granted a captive audience in their fellow travelers from North America. Students from various Universities in the Toronto, Canada area visited Lata simultaneously. The exchange was educational and informative for all present. 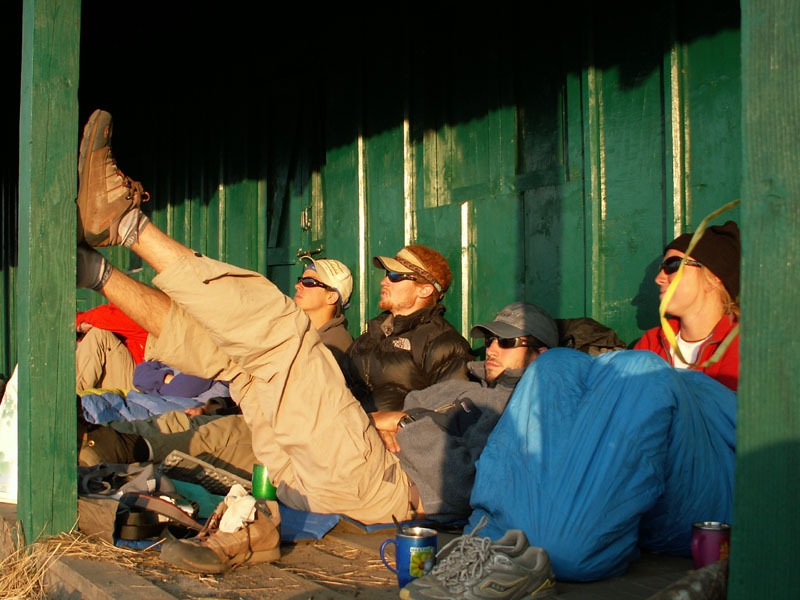 Prior to the stay in Lata, the ASU group mounted a trekking expedition up and over historic Kauri Pass. 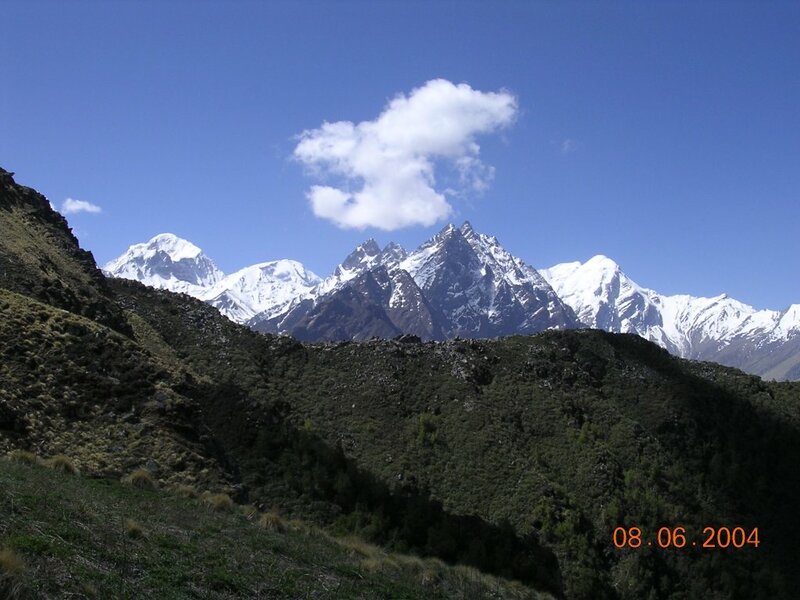 The group left Pipal Koti on the 18th of May and arrived in Auli Resort on the 22nd. 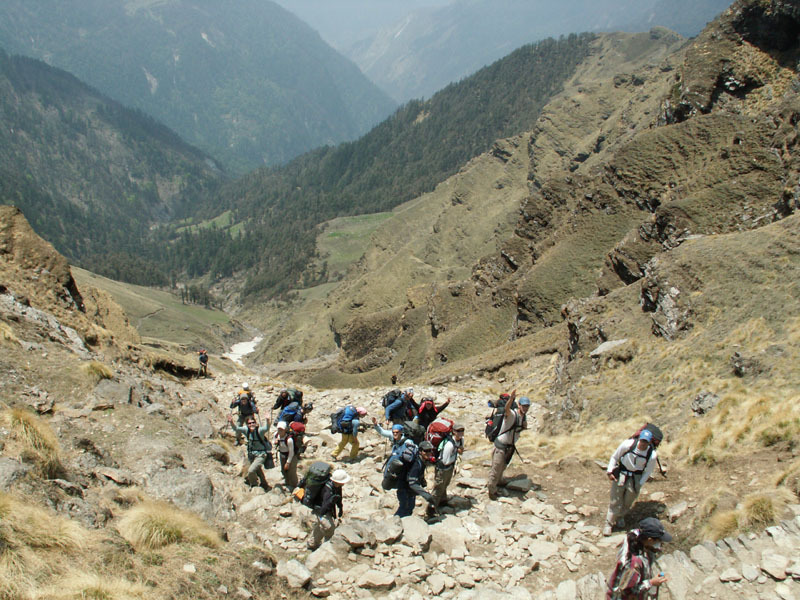 With porters and guides from Lata and the surrounding villages the team grew quite large. 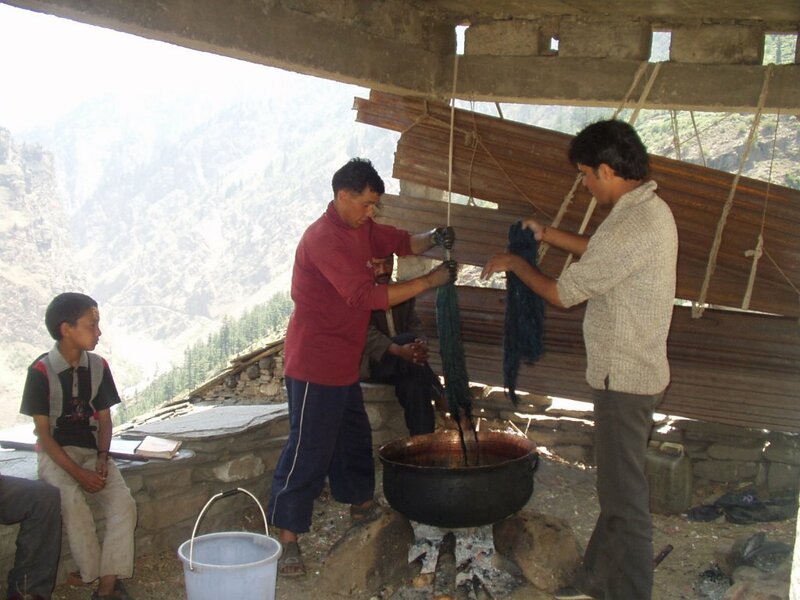 Despite its size, the group’s impact was mitigated by the use of lightweight gas cook stoves which helped to ease the pressure on fuel wood in the fragile alpine ecosystem. 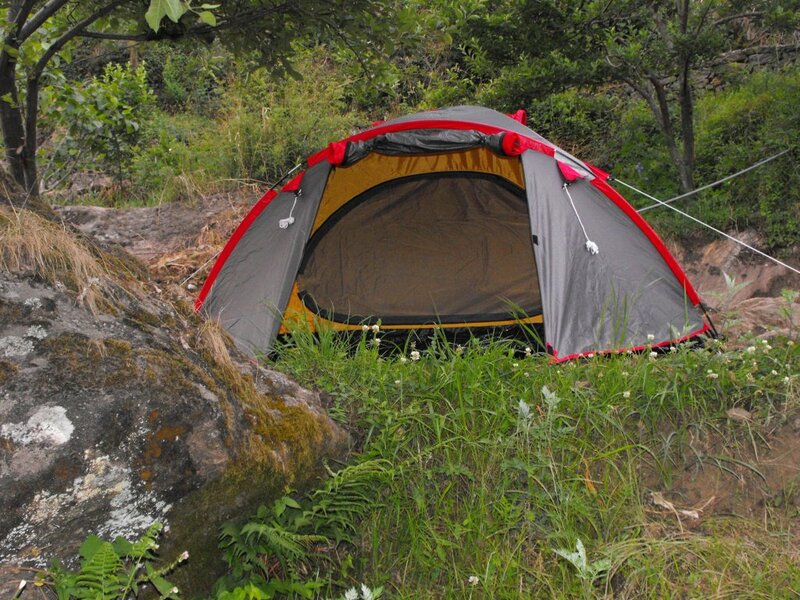 Traveling light and relying on the local’s knowledge, team ASU trekked to well over 3,000 meters with no incident. Initially passing through the Birahi Ganga Valley and Pana village gave the students a first hand glimpse into a world unlike any most had ever experienced. 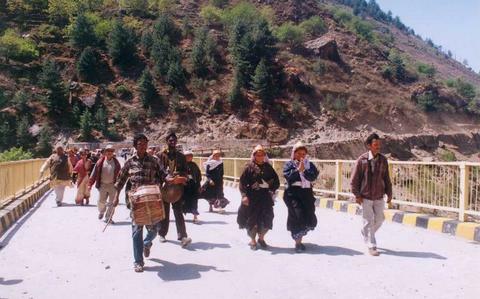 Moving higher on their quest for Kauri Pass meant traveling into the Dakhwani Meadows. Being in one of the most unique and beautiful locales on the journey could not help but remind them of their own Appalachian mountains. Blooming rhododendron dotting the hillsides and an evening mist harkened of home. 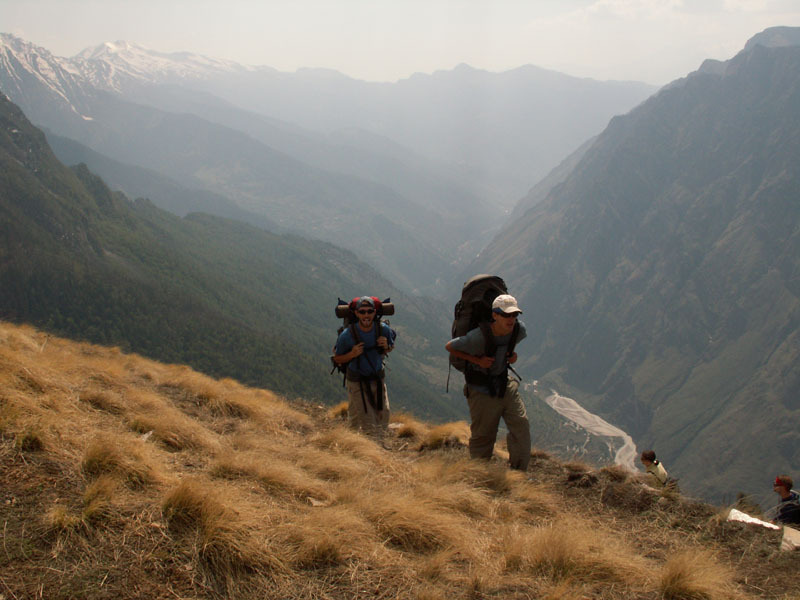 The next day would see them cresting the pass and gaining their first view of the Niti Valley; home to the cradle of Chipko, the Jhapto Cheeno movement, as well as the gateway to the Nanda Devi sanctuary. Being in one of the most unique and beautiful locales on the journey could not help but remind them of their own Appalachian mountains. Blooming rhododendron dotting the hillsides and an evening mist harkened of home. The next day would see them cresting the pass and gaining their first view of the Niti Valley; home to the cradle of Chipko, the Jhapto Cheeno movement, as well as the gateway to the Nanda Devi sanctuary. After an exposed and stormy night camped in the high buygals, team ASU sought refuge in Auli, many hundred meters below. 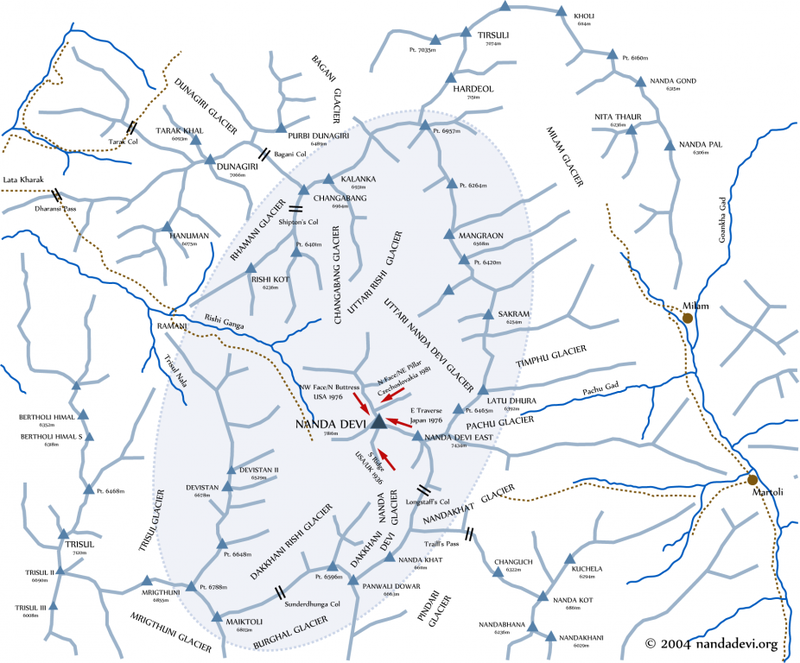 After which they traveled to Lata and conducted a second trek to Lati Karak. 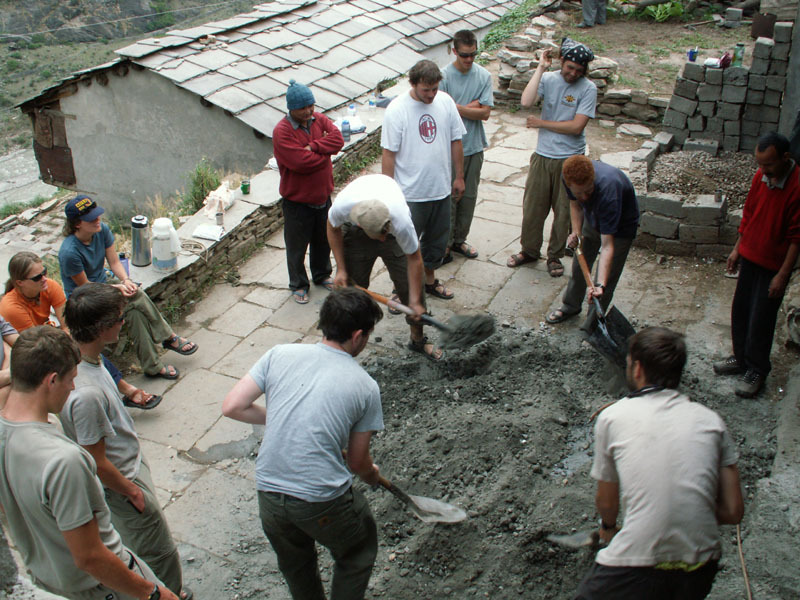 Building on the success of their previous endeavor the class successfully made a two day, one night bid into the outskirts of the Nanda Devi Biosphere’s core zone. 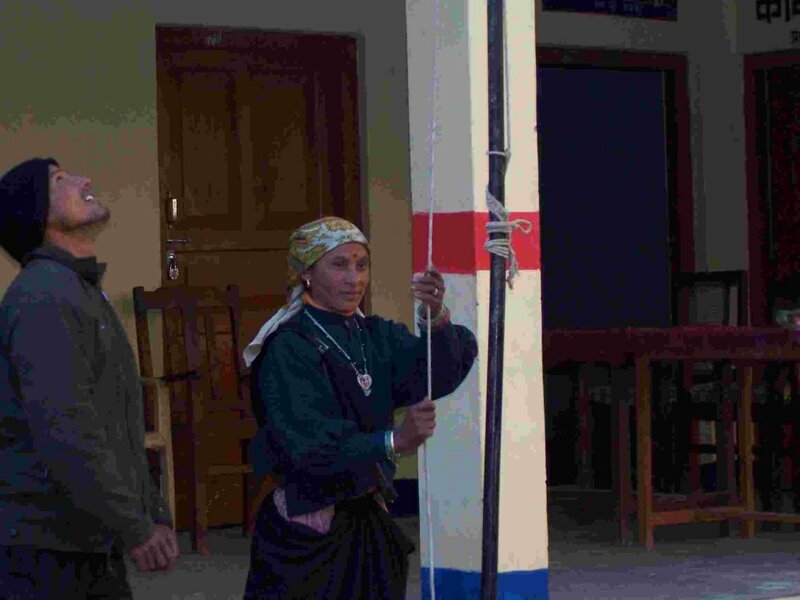 Trekking to over 4,000 meters safely was possible only through the professional guiding provided by the local people. Gourmet local cuisine was provided throughout the trekking portion of the tour by experienced local cooks. 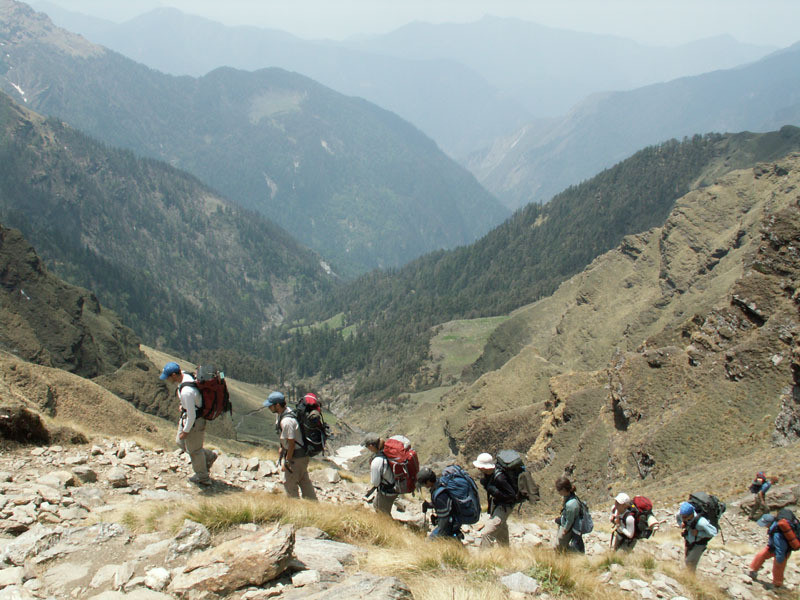 Selected youth of Lata were given the opportunity to learn as they worked on their first trek. 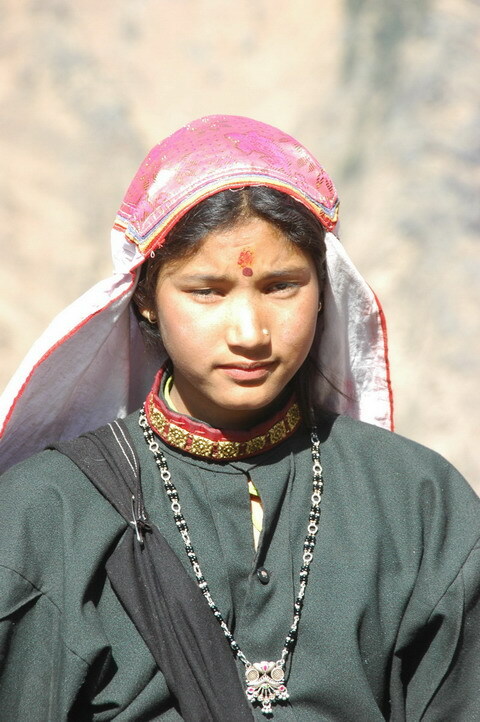 Quality of experience was upheld throughout, which is a testament to the people of Lata and the surrounding Bhotiya communities. Their desire for cultural survival and sustainability is the driving force which motivated ASU’s students to study in the Garhwal. Returning to Lata after their final trek gave the group a chance to settle into village life and conduct their research projects. 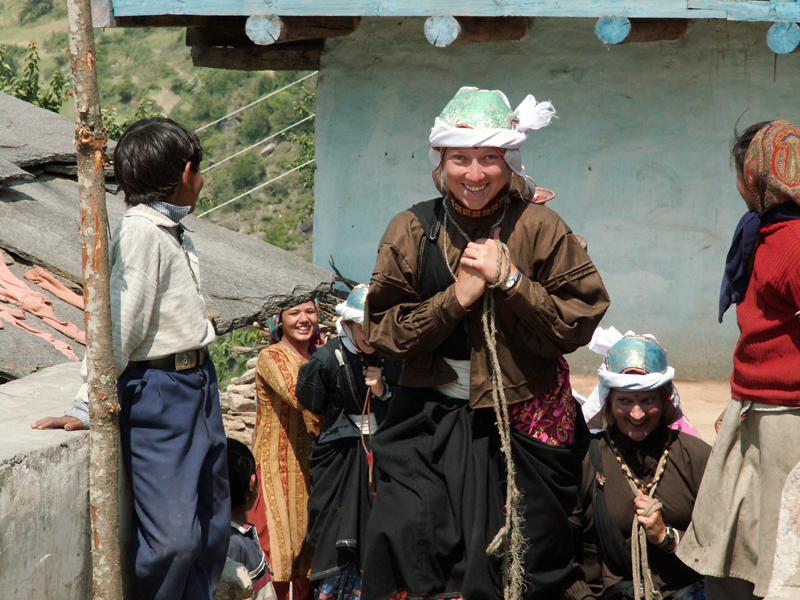 In addition, students also were allowed the unique opportunity to live for a day with a village family and participate in their livelihood activities. Maintaining the temple grounds, running the post office, mule driving, farming, and grazing all gave the students insight into everyday life in the villages of the Niti Valley. The trip culminated with a cultural exposition and celebration. 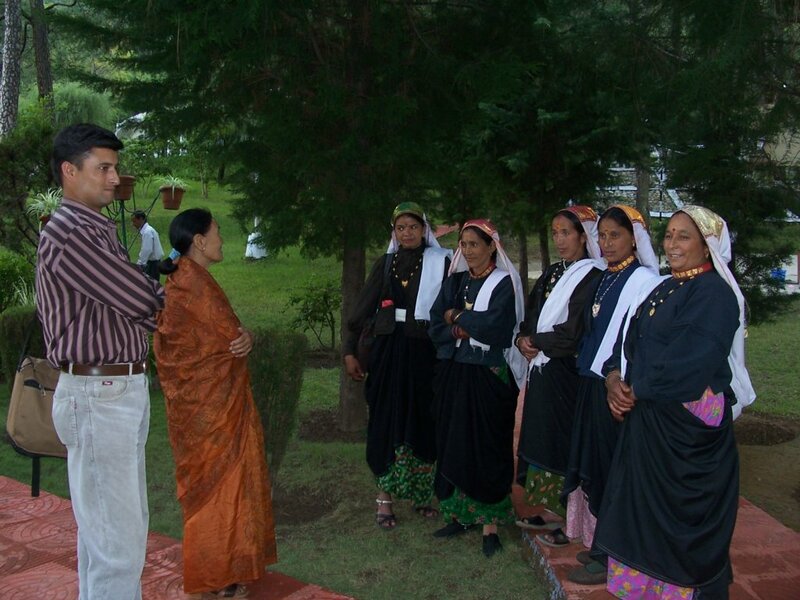 American as well as Canadian students were able to learn traditional song and dance while donning Bhotiya dress. 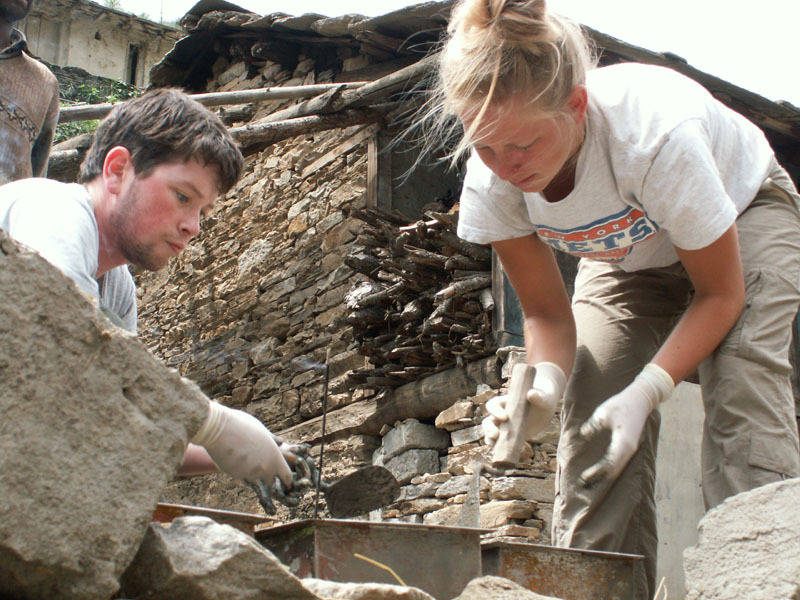 The ASU group left Lata with a better understanding of real-world development issues. Returning to the Appalachians with a staunch passion for local based sustainability, it is the hope of all who took part that this watershed event will serve as an example of what is possible when mountain people, the world over, work together towards a better future.